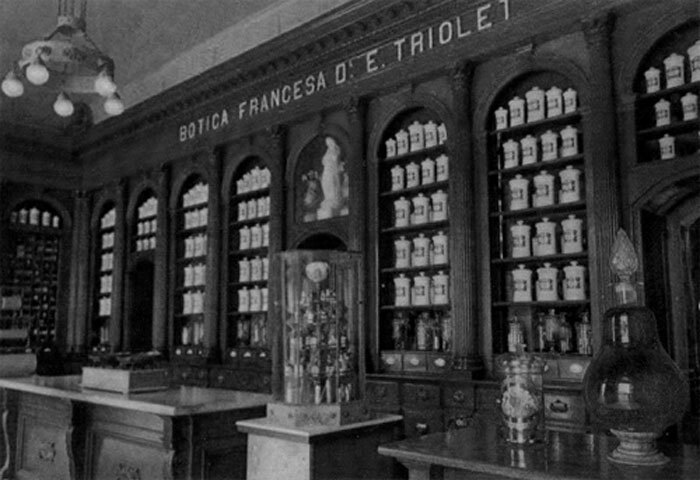 The old French pharmacy "Triolet" is situated in the heart of the city of Matanzas in western Cuba and now houses the Pharmaceutical Museum (photo: Matanzascity.org). More than being just a picturesque 19th-century pharmaceutical warehouse, the old French pharmacy “Triolet” revives memories of thousands of Cubans who visited it until recently seeking cures for their ailments. It is located in the heart of the city of Matanzas in western Cuba, and today this well-preserved pharmacy houses the Pharmaceutical Museum with over half a million preparations/formulas, vintage tools and appliances. 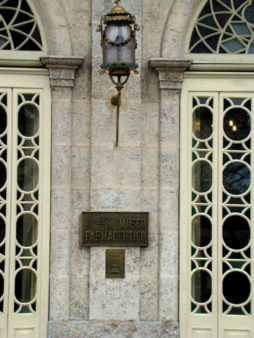 “It’s a great place … the only French pharmacy in the world since the end of the 19th century that remains authentic and complete,” says Marcia Brito, a biology graduate who has been head of the museum for the past 36 years and is also researching the prescriptions and formulas on the shelves of the Pharmaceutical Museum. The building of the Museum is preserved in pristine condition. The shelves are made of the original wood as is all the decoration, hand carved by the Catalan carpenter Juan Flores. Apart from its beautiful colonial architecture, the pharmacy contains about 800.000 labels, hundreds of thousands of original medicines and a huge collection of French porcelain dating from before the pharmacy’s foundation. 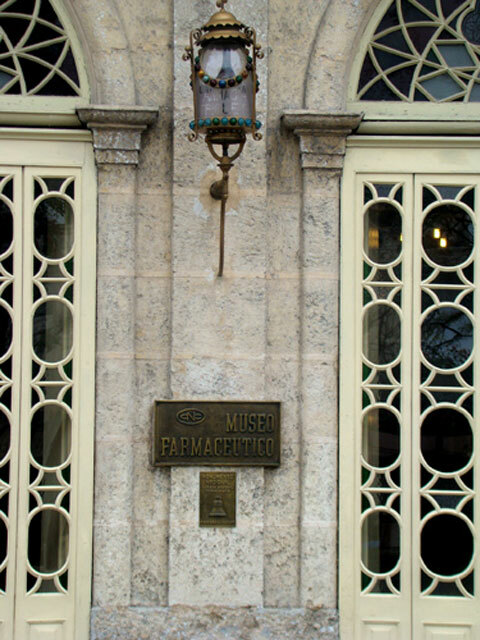 The pharmacy was founded by doctors Juan Fermin Figueroa and Ernesto Triolet Teliebre on January 1, 1882; they were friends who later became relatives after Triolet married Fermin’s sister, Maria Justa. After Maria Justa’s death, Triolet married, in 1886, Figueroa’s daughter, Dona Maria de los Dolores, the first woman in Cuba who had a pharmacy degree. Triolet radically changed the concept of pharmacies that till then had been small storerooms with demijohns full of chemicals and syrups for medicinal preparations, patented by the then emerging American and French pharmaceutical laboratories. The pharmacy immediately became well known and the customers were impressed by the distillers, ovens, scales and endless porcelain and glass jars. What are today considered simple objects were then the most up to date instruments of their time. One of Triolet’s innovations was the drawers in which he put the envelopes with medicinal herbs and the first ampules for serums. Before becoming a museum in 1964, Triolet offered ointments and cures to the locals. It is now visited every day by hundreds of people who admire the precious wooden shelves, the marble and the porcelain antiques. In 2017 it was declared a National Monument, partly for the emblematic neoclassical architecture of the late 19th century.